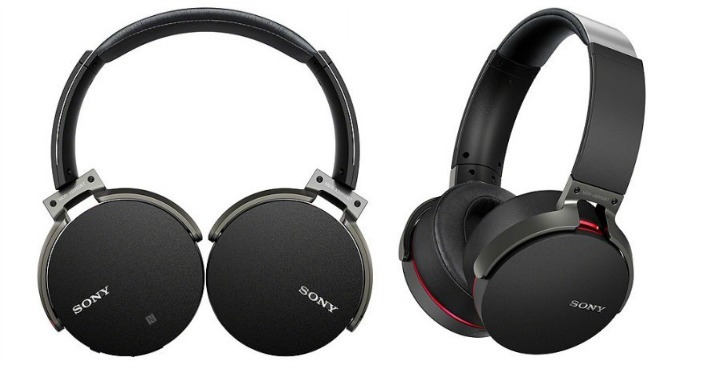 Sony Bluetooth Headphones Just $88! Down From $200! You are here: Home / Great Deals / Sony Bluetooth Headphones Just $88! Down From $200! Right now you can get these Sony Bluetooth Headphones for just $88 (Reg. $200) at Walmart! Experience wireless freedom with Sony Bluetooth Headphones MDRXB950BT/B. These sleek, comfortable headphones deliver incredible sound quality. The headphones with extra bass provide Bluetooth audio streaming with AAC and APT-X support. Electronic bass boost circuitry kicks bass into overdrive, rounding out each note with powerful sound. The over the head Bluetooth headphones are equipped with 40mm drivers. A built-in microphone makes it easy to use them for hands-free phone calls. They can be used wirelessly; passive mode allows for normal, corded operation without relying on the battery. The battery provides up to 20 hours of use before needing recharging. The headphones have a swivel design for effortless portability. A USB charging cable and a detachable audio cable are included for added convenience.